A Different Drummer #21, 25 x 28 inches, by O.V. Brantley, 2011. For sale at http://www.ovbrant.etsy.com. Five of my quilts are part of the 2011 Atlanta Quilt Festival exhibit. The exhibit is housed at the South Fulton Arts Center, 4645 Butner Road, College Park, GA. The Opening Reception is tomorrow at noon, but the quilts will remain on display until August 13, 2011. My newest quilt in the A Different Drummer series is part of the exhibit. This quilt is hand quilted and celebrates motherhood. It is offered for sale in my Studio Store. 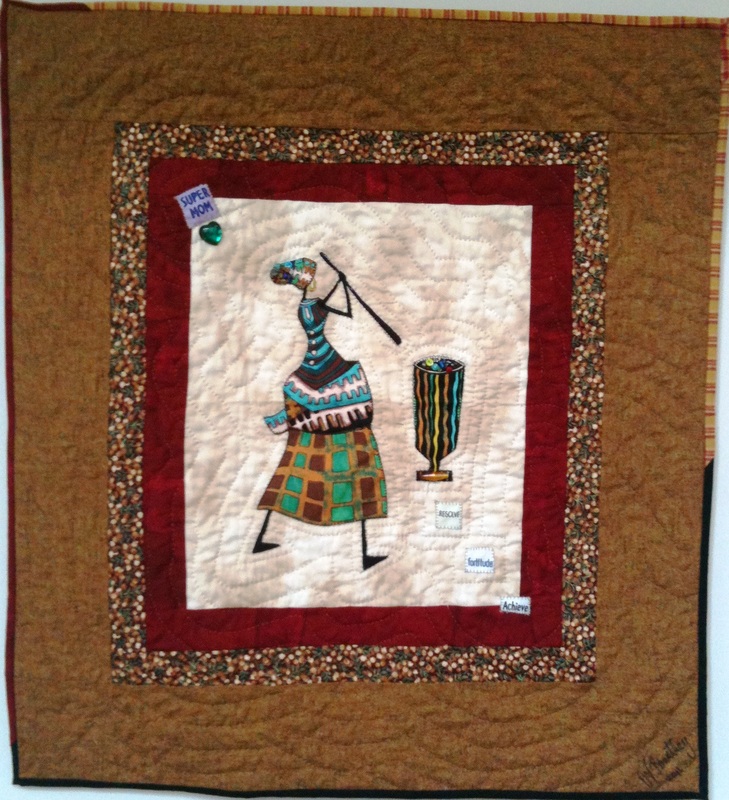 This entry was posted in A Quilter's Life, Places to See My Quilts and tagged 2011 Atlanta Quilt Festival, A Different Drummer #21, African American quilter, ethnic, O.V. Brantley, wallhanging. Bookmark the permalink.